In vocal and choral music of the twentieth century, composers have explored new ideas in composition. A select work by George Crumb, such as Apparition, evokes a sense of nature. In the work mentioned, Crumb uses vocal techniques that imitate sounds in nature rather than using the voice for conventional singing alone. Other composers, such as Schoenberg, used the contemporary vocal method of sprechstimme. Included in the number of composers that use contemporary ideas in their choral or vocal works are Arvo Pärt and Krzysztof Penderecki. Pärt establishes his own compositional style involving simple, homophonic textures and triadic relationships with little harmonic direction, if any. Penderecki is recognized for his pioneering ideas with tone clusters, quarter-tones and three-quarter tones, and various string timbre techniques. Penderecki used his ideas in instrumental works and transferred his ideas to choral works. When first reading the backgrounds and the description of these two composers’ styles, one might imagine that their work is separated from one another beyond comparison. However, using the settings of the Magnificat by each composer and other sources related to the influences on each composer’s style, comparisons can be drawn to show that these two composers are not too far apart in their conception and ideas. However, grounds must be established before comparing the manner of composition by Pärt and Penderecki. The following includes sections containing the ensuing information: a brief background description of each composer’s life, a description of each composer’s compositional methods, and statements concerning the treatment of the Magnificat employing each composer’s methods. Pärt was born on September 11, 1935, in Paide, Estonia and grew up in Tallinn. In the years from 1958 to 1967 he worked as a recording director and composed film and television music for a division of Estonian Radio. During this time he studied composition with Heino Eller at the Conservatory at Tallinn. His early works, while still a student, demonstrate an influence of the Russian composers, Shostakovich and Prokofiev. Later in his career he disavowed these early works. According to Pinkerton (1996), Pärt’s orchestral work, Necrolog, among other works of the early and mid-1960’s were “unfulfilling experiments” with aleatoric techniques and serialism. However, two of these works won him first prize at the All Union Young Composers’ Competition of 1962 held in Moscow. These works were a cantata, Meie aed (Our Garden) for three-part children’s choir and orchestra, and the oratorio Maailma samm (Stride of the World). Accordingly, the first period of dodecaphonic experimentation grew into his second or middle period that spans from 1968 to 1976. In this period, Pärt experimented with the areas of polytonality, indeterminacy, pastiche, collage, and pointillism. His collage technique dealt with borrowing whole sections or works to place into his experimental or dodecaphonic structure. In Pärt’s Credo of 1968, he applies choral whispering, stemless notation, and pitch range notation (an aleatoric method) in the construction of the piece. After this point, Pärt enters into a compositional silence for purposes of study. Among the composers and schools Pärt studied were the Notre Dame school and the Franco-Flemish composers, Machaut, Obrecht, Ockeghem and Josquin. Around 1971 Pärt’s music took on a tonal perspective that borrowed from the medieval and classical periods. Having not yet reached his goal of a new style, Pärt went into another compositional silence until 1974. Pärt established his newest compositional device in the years following 1974. I have discovered that it is enough when a single note is beautifully played. This one note, or a silent beat, or a moment of silence, comforts me. I work with very few elements, with one voice, with two voices. I build with the most primitive of materials–with the triad, with one specific tonality (p. 23). In this music, Pärt takes the sound of the triad as a phenomenon in nature. It rings constantly through the tintinnabulation, and is both the means of originating sounds and the audible result of such work. This triad has little to do with structural tonality; there is no sense of modulation, or of the tension and release normally associated with tonal harmony. It is simply the ringing out of one sound based on a central note. The music does not develop (in the usual sense of the word). It expands and contracts–in short, it breathes (p. 134). Pärt took time off from composing to study the works of the Medieval and Renaissance period composers. Some of the compositional ideas that these early composers employed were the idea of drone, hocket, text emphasis, and rhythmic simplicity. All of these ideas, including religion, are embraced and reflected in Pärt’s style of tintinnabulation. “Religion influences everything. Not just music, but everything” (McCarthy, 1989, p. 132), Pärt states. Therefore, it is not unlikely that the composers studied by Pärt also have strong ties to religion and religious music. Pärt’s setting of the Magnificat is for a SSATB a cappella choir with a solo soprano voice. In the Magnificat (1989), the idea that is most obvious is the stress Pärt places on time. No time signature is given and the piece is divided up into certain phrase blocks that match the text phrases by the use of double barlines. Dotted barlines also span the pages that carefully separate each word for emphasis. Furthermore, each note that is the longest between the dotted barlines is the emphasized syllable of the word. There is an exception made for those words that fall at the end of the double bar sections. The final syllable of each phrase is given more length to end the phrase. 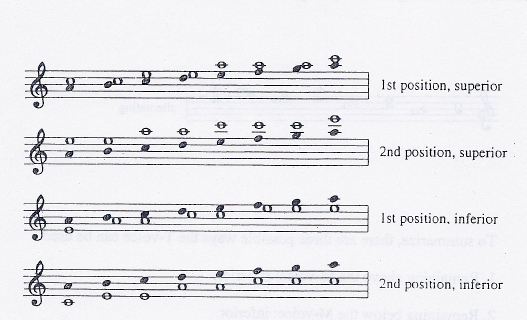 In all rhythmic treatment found in Pärt’s Magnificat , the idea of text emphasis is apparent. In this manner, Pärt reinstates an idea that was found in the works of the early composers whom he had studied during his compositional silence. Another idea concerning time found in Pärt’s work is how he simulates timelessness. The stressed syllables of each word are agogically stressed; also, the words of the text have irregular accentuation. Therefore, any recognizable metrical pattern is not established. Pärt further promotes this irregularity by placing varying consecutive note values upon the stressed and unstressed syllables of the text. For example, the stressed syllable in a word such as anima will have a longer or shorter note length than the following word mea, thus establishing further metrical ambiguity. Pärt has an intriguing way of dealing with drones in his music. The occurrence of drones in music up to this point has been found in the bass voices. Pärt reverses this and puts a drone in the upper voices in certain sections of the Magnificat. While this drone sits in the upper voices the middle voices and bass are able to freely move about. Pärt’s bass line defies a common practice of harmonic function. The motion of the bass line is not directional in nature. Rather, the bass voice maintains the ambiguity of any metrical pattern and keeps the harmonies static. Pärt does not seem to place any motivic development into his work to a great degree. In the Magnificat, the only recurring motive is not one of melody, but of tension. The progression from a compound unison to a minor second provides this recurring tension. The only consequential resolution that may be expected is a return to the previous compound unison. The tension is most frequently used to begin a phrases or stress text. 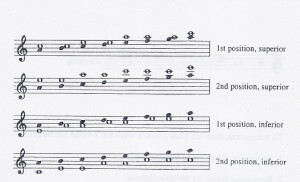 The development of the tintinnabulation from a unison is important in Pärt’s technique, especially at the beginning of the piece. In other words, Pärt proceeds from one pitch in a few voices and spreads out from that point. A final idea used in the Magnificat that was taken from the study of the early composers is the use of hocket. In Grout (1988), “the flow of melody is interrupted by the insertion of rests, generally . . . missing notes are supplied by another voice . . .” is a definition of hocket in the time of the Notre Dame School (p. 132). Pärt utilizes this idea only partially. The upper vocal line may be interrupted by rests but the other voice used to counter the resting voice carries on with the same line without interruption. This provides for some rhythmic interest apart from the homophonic block motion of text and melody. Having discussed Pärt’s background, compositional method, and treatment of the Magnificat, it is now time to turn to Penderecki’s background, compositional style, and treatment of the Magnificat. Penderecki was born on November 23, 1933, in the Polish city of Debica. As he was growing up, the Germans took possession of Poland. “The atrocities of Auschwitz took place in his own back yard” (Robinson, 1983, p. 1). These times of turmoil and strife could not help but influence Penderecki’s compositional style. Penderecki was raised as a devout Roman Catholic. He stated that he may have been overly devout in his early life. The influence of religion upon Penderecki’s settings of religious texts finds its development from his youth. The arts were held in high regard by Penderecki’s family. Music making by his father and uncles often took place in the home. Penderecki studied piano but chose the violin for extensive study. Penderecki entered Krakow Conservatory in 1951 to study violin and experiment with the art of composition. In 1953 Penderecki enrolled in compositional studies at the Conservatory with Franciszek Skolyszewski. Skolyszewski was a great influence upon the impressionable Penderecki. It was with Skolyszewski’s support and belief in Penderecki’s talent that launched his studies at the State Academy of Music in Krakow in 1954. After his highly successful career as a student at the Academy ended in 1958, Penderecki was offered a position to teach at the Academy as a teacher of counterpoint and composition. Due to his familiarity with religious studies, he also lectured at the Krakow Theological Seminary. He also wrote for a magazine as a chronicler for music events. It was during this time that Penderecki truly made an international name for himself as the composer of Strophes (1959), Emmanations (1958), Psalms of David (1958), and Thredony to the Victims of Hiroshima (1959 – 1961). Penderecki is no different than Pärt in as much as each man’s career can be divided into three parts based on style periods. Penderecki’s first period (1956 – 1962), is one of experimentation and exploration similar to Pärt’s. The isolation of Poland after World War II created a sort of compositional freedom for composers of the day. A composer could develop a personal style that was free from many of the influences that pervaded the works of composers in the rest of Europe during that time. The composer, Luigi Nono, gave Penderecki some scores of Schoenberg, Webern, Krenek, and Boulez to study when he came to visit Poland. Penderecki’s pieces, at that time, were influenced slightly by these composers from his study of their scores. 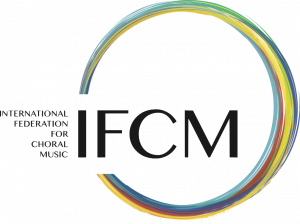 During this time in Poland the distinctive idiom of Farbmusik (color-music) produced new styles of music. Among the characteristics of this idiom are free serialism, a three-line tempo graph, time-space notation, semi-tonal clusters for sound density, and new timbres from stringed instruments. Penderecki’s second style is one of a more personal stability. In this period, 1962 – 1974, Penderecki merged the forward thinking ideas of the Farbmusik era with that of a reverence for the past. Penderecki, as did Pärt, looked to the early composers and Gregorian chant as a place from which new materials could be developed. Serialism was abandoned as melodic content, and the use of modal, diatonic, and quarter-tone material was embraced. In this period, Penderecki’s prior ideas concerning the exploration of new string timbres was transferred to his vocal music. The Magnificat (1974), among his other important choral works of this period (St. Luke Passion, Stabat Mater, Dies Irae, Utrena, and Kosmogonia), utilized these new techniques. Penderecki’s third period following the year of 1974, is one of expression. The experimental phase found in his first and second periods are put aside for a more dramatic, lyrical style containing a post-Wagnerian chromaticism. His Violin Concerto (1976) is rooted in Brahms and Sibelius. Wolfram Schwinger (1989) states that the “new music is drawn much more from the spring of strong melodic inspiration” (p. 84). I had to write in shorthand–something for me to remember, because my style of composing at that time was just to draw a piece first and then look for pitch . . . I just wanted to write music that would have an impact, a density, powerful expression, a different expression . . . I think this notation was for me, in the beginning, like shorthand, really, coming from drawing the piece. I used to see the whole piece in front of me – Thredony is very easy to draw. First you have just the high note, then you have this repeating section, then you have this cluster going, coming–different shapes. Then there is a louder section; then there’s another section, then there is the section which is strictly written in 12-tone technique. Then it goes back to the same cluster technique again, and the end of the piece is a big cluster, which you can draw like a square and write behind it fortissimo . . . I didn’t want to write bars, because this music doesn’t work if you put it in bars (p. 1). As one may see, Penderecki was not concerned in the 1960’s in promoting the ideas of diatonic melody and conventional harmonic techniques. Penderecki was looking for a voice in the power of sound masses. When these sound mass structures are seen on a score of Penderecki such as the Magnificat(1974), the clusters appear as black blocks over a range of pitches that are designated by the composer. The blocks or clusters of pitches can crescendo, glissando, decrescendo, expand, or contract. Penderecki’s use of sound-mass structures was derived from the influence of Xenakis according to Arnold [Online]. Penderecki was a pioneer in the use of nontraditional ways of playing instruments, especially strings. New timbres were created and explored using various techniques. The following is a list of these new stringed instrument timbres: the use of packed groups of quarter-tone and three-quarter tones, clustered opposite moving string glissandi, sounds created close to, on, and behind the bridge, playing under the strings, and playing on the wood of the instrument. As time progressed, the same timbres achieved by the non-traditional methods of playing stringed instruments were transferred so that the voice emulated this technique. Due to the radical new techniques found in this method of tone clustering and non-traditional playing, a whole system of notation needed to be developed. Penderecki was a pioneer in developing the notational system of the period. His notational system of the 1960’s is now recognized by composers everywhere (Robinson, 1983). Another influence on Penderecki’s music is the importance of religion, specifically the liturgical texts of the Roman Catholic Church. Penderecki has set many of these texts to music. Penderecki’s political and moral nature is not surprising considering the influences the horrific conditions of the Holocaust during his youth and his religious experiences, both as a young man and as a lecturer. In the online source announcing the Grawemeyer Award for Music Composition (1992), Penderecki is described as a “composer known for sending moral and political messages through his music” (p. 1). We, the composers for the last thirty years, have had to avoid any chords which sound pleasant and any melody because then we were called traitors. I feel free, I don’t feel I have to do something which the people will expect from me or the critics will expect from me. Sometimes music has to stop and relax a little bit to find the other sources (with which) to continue. Sometimes it’s good to look back and to learn from the past (p. 1). Penderecki seems to be referring to the trend in his second style of employing ideas of Gregorian chant and referencing prior religious works and their composers, such as J. S. Bach. In that piece [Magnificat] I came to the place where I really could not go any further because of the musical language; all the complex polyphony became so complicated. After the triple fugue in Magnificat, I did not think that I could repeat the same things and write more complicated music; I did not have an interest in doing so. I think that is writing music which is only technique, and composing with so much technique involved does not interest me. My music has always been very personal, so if it becomes too technical, I have to stop (p. 1). 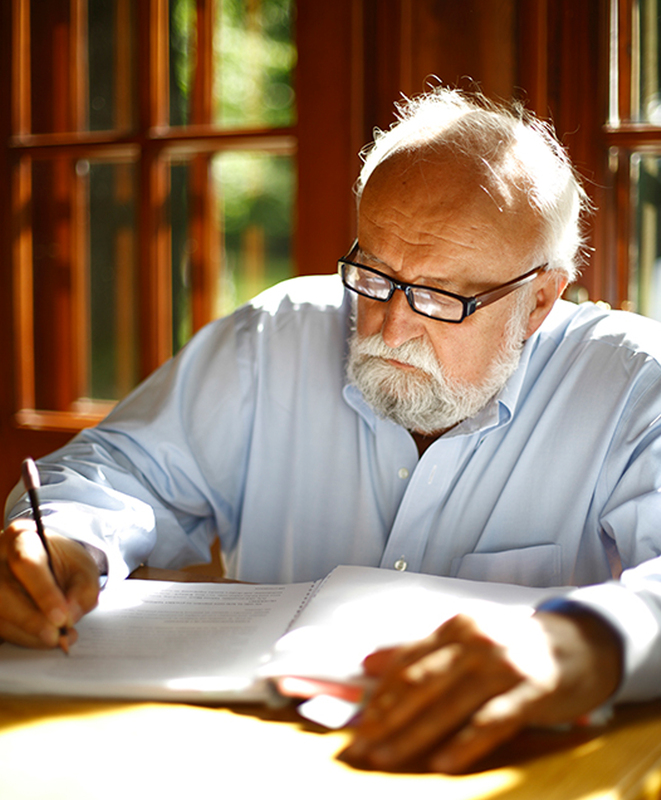 Penderecki’s setting of the Magnificat (1974) separates the text into separate movements. The entire work is about forty-five minutes long. The work requires two choirs, a boy’s choir, and seven male vocalists just to cover all the voice parts. Penderecki also adds a full orchestra and small percussion section with harp, celesta, harmonium, piano, and glockenspiel. As it often does in music of Penderecki, the music starts with one note and fans out from the main interval of a minor third, d – f. Penderecki refers to a prior composer of settings of liturgical texts in the construction of his Magnificat. In the case of the first movement, the composer is Bach. Bach’s Magnificat is in D major. Penderecki blurs this triad in Bach’s Magnificat key with additional notes consisting of E flat, F, and A flat. This chord actually appears throughout the whole piece and is sometimes transposed. The second movement is the triple fugue. In this triple fugue there are 55 real contrapuntal voices. When presenting the fugue subjects, Penderecki counterpoints them with elements of vocal glissandi, quarter-tone and three-quarter tone relationships, and rhythmic augmentation of the quarter-tone relationships. The process of the triple fugue can be summarized: the third subject is treated in canon, the first is treated in double and triple augmentation, the stretto has quarter-tones, and the coda fades with parts of the first and second subject. The third movement begins with terraced quarter-tone tremolo in the strings that fades and allows for the introduction of a viola melody. The male vocal parts spread to ten voices that move in stepwise motion. The third movement moves directly into the fourth movement after the chorus cries Misericordia. The fourth movement is sung by a solo bass who begins with a recitative which recalls material from the first movement; the bass recitative material also prepares the fifth movement. After finishing the recitative material, the solo bass moves to a flowing melodic line. The fifth movement is the Passacaglia. Its theme consists of a bass note repeated thirteen times. In a sense, the theme itself also functions as a drone which intensifies a tonal center which integrates the other disparate elements in the movement. In the fifth movement, Penderecki creates a cantus firmus of the boy’s choir on the text, Magnificat, at first in f octaves and then on a flat. After a short orchestral interlude, the chorus rejoins the ensemble with a C major chord; yet, the orchestra disrupts the clarity by adding every additional adjacent note to the chord. As the movement progresses, Penderecki uses the compositional techniques of hissing and whispering in the choral part. The short sixth movement is for a cappella chorus and is probably the most akin to the style of Pärt. Penderecki presents the movement in a slow moving timelessness that is built around a flat changing to g. This movement also most closely corresponds to Penderecki’s Stabat Mater in the Passion, another piece for unaccompanied chorus. The final movement is the Gloria. He opens the movement slowly with syllables of the word Gloria presented in isolation as if the word is being heard from a distance. The boys choir reflect this idea with a multi-layered and rhythmically varied section. The second important theme in the final movement is the chorale for brass. The lento section that follows takes up the brass chorale theme and adds two high trumpets in D in addition to the regular complement. The climax of the movement arrives on a pure E flat major chord, one semitone higher than that of Bach’s D major setting. However, before the close of the coda, Penderecki brings back the element of tone cluster with a twelve-note chord in the chorus before ending the piece on a unison C on the word, Amen. After listing the facets of each of the two composers lives from their background to the treatment of the Magnificat, a few elements of their influences and compositional styles can be compared. The following is only a limited comparison between two seemingly disparate composers; however, some aspects of the comparison may shed light on trends that follow naturally in the musical context of the twentieth century. One of the major influences upon both Pärt and Penderecki is that of religion. Pärt is a devout Russian Orthodox, and Penderecki is a devout Roman Catholic. Although their religions differ in practice, the same fundamental ideas frequent the liturgical texts of both denominations. Settings of religious and liturgical texts make up a major portion of the total compositional output of both of these men. Following the influence of religion upon Pärt and Penderecki’s work, a subject that is related to religion arises as a common influence: elements of Gregorian chant. Penderecki uses the chant element of drones as the Passacaglia in the fifth movement of the Magnificat. Pärt uses drones similarly to serve as something for the melody to flow upon. However, Penderecki’s usage of the drone is more traditional due to its placement in the bass line of the piece. Pärt places the drone as the highest voice so that the tonal ambiguity will be reinforced. A final shared influence between the two composers is their experimenting with partial knowledge of a topic. For example, serialism was a technique that was not discussed in either Poland or Estonia at the time when Penderecki and Pärt were experimenting. Both were studying music in a highly protected and isolated environment. However, many Western countries were following the serial model for composition. In McCarthy (1989), Pärt stated that he had few sources to study “apart from a few odd examples or illegal cassettes.” (p. 130) In other words, cassettes of works not studied were considered illegal to the powers that kept Estonia isolated. Robinson (1983) states that Penderecki had never heard a piece by Stravinsky until 1957. Under these conditions, it is not difficult to understand why any promising composer may work to develop a new and independent style. Pärt and Penderecki have divergent sounds that emanate from their compositions. However, the sounds provide different conceptions of similar ideas. One of the first similarities between the two men are their style periods. Each composer has three style periods. Two of which, the first and the third, develop congruent ideas in each composer’s style. Their first periods both involve experimentation due to the lack of exposure to current compositional models. This coincidence is explained by the political isolation imposed on both composers’ countries during their early stages of composition. However, as the works of these two artists become more prominent and their freedom to access new musical ideas grows, what provides the impetus for both to revert to a more diatonic medium of composition? The answer lies in their reverence to the past. Both men studied the works of Gregorian chant to gain new insight on the seemingly lost art of tonality. For both men, chant elements held a deeper meaning than just expression of text in music. In Pärt and Penderecki’s compositional styles, one of the elements concerns the notion of a timelessness in music. Both composers create a sense of timelessness in their scores by providing no barlines or metrical ambiguity due to varied agogic stress. Both composers have a deference for the importance of silence. Each setting of the Magnificat grows out of silence and tapers to close with silence. Silence is a strong component which is exploited in the works of these two composers. In the silence, a reflection of what is stated and not stated in the music can be explored by the listener. Each composer has his own ideas of maintaining a sense of tonal recognition through the conception of stasis. For Penderecki, this idea is found in the use of tone clusters to create a tonal plane. The listener may not be familiar with the tonality of the piece; however, the repetition of clustered tones forming a total saturation of sound becomes a binding element that provides stasis throughout the work. For Pärt, simply using triads in tintinnabulation and avoiding harmonic motion provides an unchanging recognition of tonal elements. The lack of direction made by the triad provides a feeling of stasis within the work. A final couple of comparisons concern each composer’s emphasis on text and their modes of notation. In each setting of the Magnificat, both composers put an emphasis on the text. For Pärt, text emphasis is blatant due to his notational method. A performer can not help but notice that each word is set off by dotted barlines which are not at all related to a metrical pattern; also, each phrase is set off by a double bar. In this way Pärt informs the performer that the text is of foremost importance in the piece. In Penderecki’s setting, the text is set into contrasting movements that emphasize the emotion behind each text section. His graphical notation containing clusters and glissandi emphasize the deeper meaning found in each text section. However, Penderecki uses dissonance as a part of his general style rather than Pärt’s usage to stress text meaning. Arnold, B. Krzyzstof Penderecki (b. 1933). [Online]. Available: http://www.emory.edu/MUSIC/ARNOLD/PENDERECKI.html [1997, May 12]. Grout, D. & C. Palisca. (1988). A History of Western Music. New York: W. W. Norton & Co.
Hillier, P. (1989). 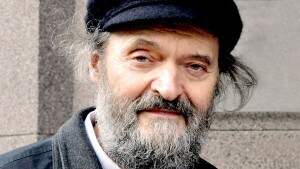 Arvo Pärt – Magister Ludi. Musical Times, 80, 134 – 137. McCarthy, J. (1989). 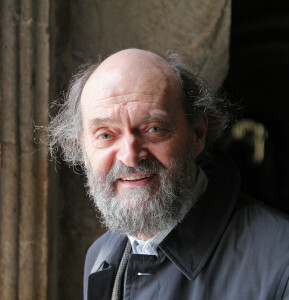 A interview with Arvo Pärt. Musical Times, 80, 130 – 133. Pärt, A. (1989). Magnificat. Vienna, Austria: Universal Edition A. G.
Penderecki, K. (1974). Magnificat. New York: Schott Music Corp.
Pinkerton II, D. (1996). Minimalism, the gothic style, and tintinnabulation in selected works of Arvo Pärt. Unpublished master’s thesis, Duquesne University, Pittsburgh. Robinson, R. (1983). Krzysztof Penderecki: A guide to his works. Princeton, New Jersey: Prestige Publications. Schenbeck, L. (1993). Discovering the choral music of Estonian composer Arvo Pärt. Choral Journal, 34, 23 – 30. Schwinger, W. (1989). 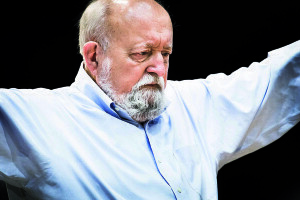 Krzysztof Penderecki: his life and his work. (W. Mann, Trans.). London: Schott & Co. Ltd. (Original work published 1979). The background information on Penderecki, except for the final direct quote, comes from the following source: Robinson, R. (1983). Krzysztof Penderecki: A guide to his works. Princeton, New Jersey: Prestige Publications. (pp. 1 – 7). (sic) Grammatical errors were found in the source. The information used for this section, except the first direct quote, comes from the source: Schwinger, W. (1989). Krzysztof Penderecki: his life and his work. (W. Mann, Trans.). London: Schott & Co. Ltd. (Original work published 1979). (pp. 226 – 230).